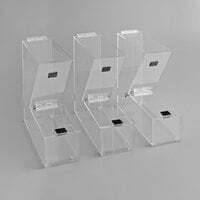 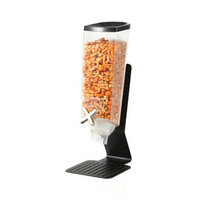 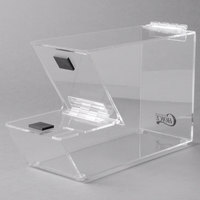 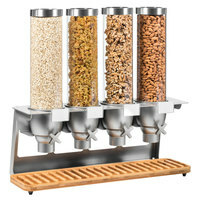 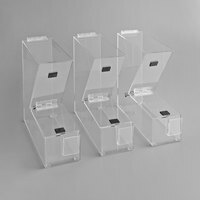 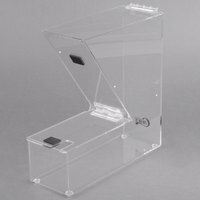 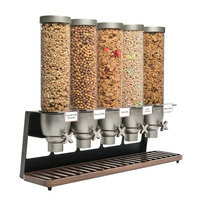 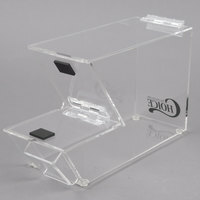 Store and present cereal, granola, and other dry food in an elegant and accessible way in cereal dispensers! 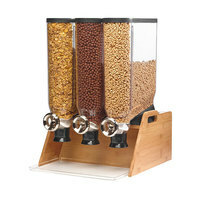 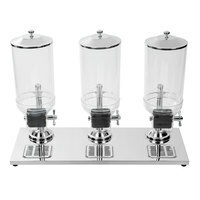 Commonly used in cafeterias, breakfast diners, coffee shops, hotels, and buffets, a dry food dispenser keeps contents fresh and crispy. 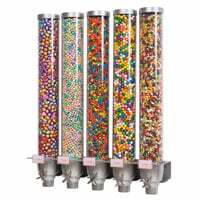 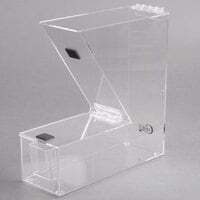 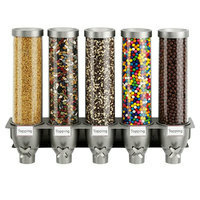 These versatile dispensers are also ideal for holding candy, trail mix, coffee beans, rice, and even pasta! 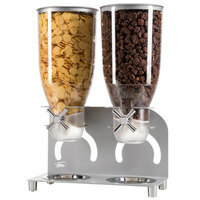 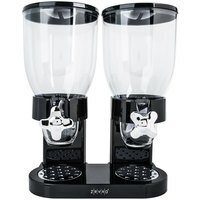 Easy to operate and refill, guests and employees both will appreciate how accessible these cereal dispensers are. 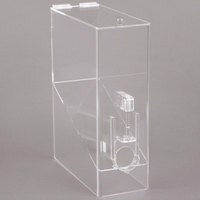 Simply fill from the top, and then place on its airtight lid. 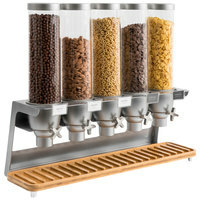 When it comes time to dispense, users simply turn a lever, and cereal will come out the bottom. 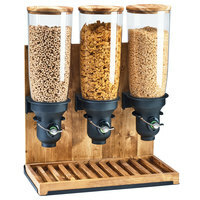 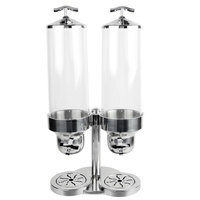 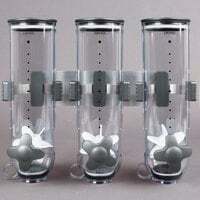 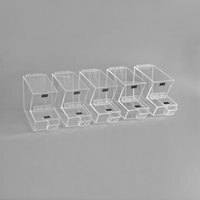 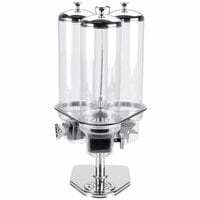 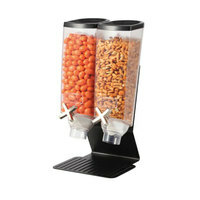 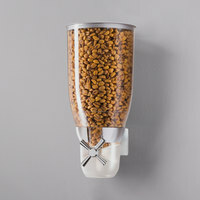 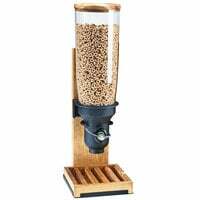 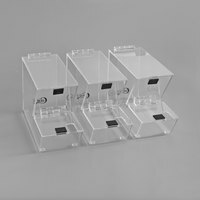 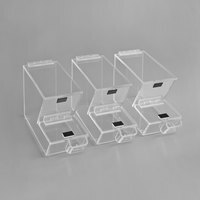 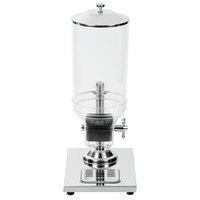 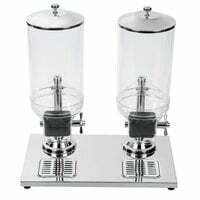 These dry food dispensers also release a pre-measured amount of product to help control serving sizes and reduce waste.